During the Smooth Jazz Festival Augsburg 2010 I had the opportunity to attend a concert of the group Akusticos. Their fresh smooth jazz performance received great applause of the audience and all listeners trust in the splendid future of these young musicians. Akusticos are John Odio (sax) and Walter »Chepe« Blanco (guitar). This band from San Jose, Costa Rica plays together since ten years and shows top-quality music. In more musicians are needed, they also perform as trio or with six musicians in the maximum formation. The group plays rock, pop, smooth jazz, ballads, Latin music or oldies. According to their website they are characterized by professionalism, seriousness, responsibility, punctuality and good treatment to their customers and the public. Their debut album Lluvia (2010) was released by Print Sound UG, a German label. A young company, which has set itself the task of making saxophone music popular. 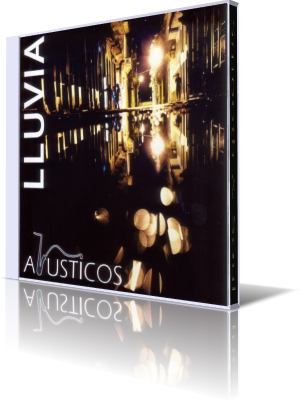 When John Odio intonates his sax with great sensibility, then you listen to Lluvia (Rain), a wonderful romantic melody. Walter Blanco's guitar performance reminds me of the sound of Peter White or Marc Antoine. Finest acoustic guitar wave. Cahuita is a small city located on the Caribbean coast of Costa Rica with an awesome national park nearby. The song perfectly mirrors the spirit of this beautiful location. On Fusion showcases the group, that the contemporary smooth jazz sound has a tremendous influence on their playing and this great inspiration positivley touches their music. But the band also stands to their heritage. Luna Liberiana, a Latin flavored ballad in the tradition of Spanish music. The albums closes with Tudo Bien, what means colloquially all fine. Free of overdubbing technique the group shines. Lluvia is fresh smooth jazz. Costa Rica is comin'!